Precise cutting of non-ferrous plate materials. 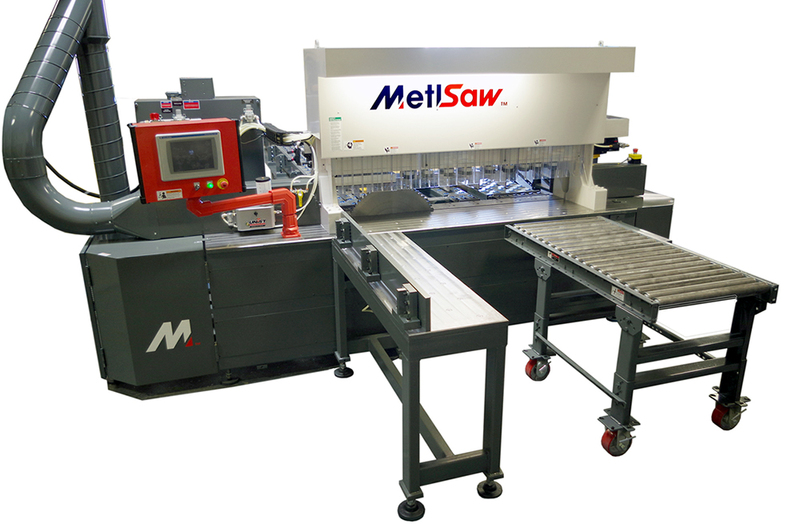 High throughput saws increase production capacity. New backgauge design makes loading easy. Holds to tight tolerances with every cut. 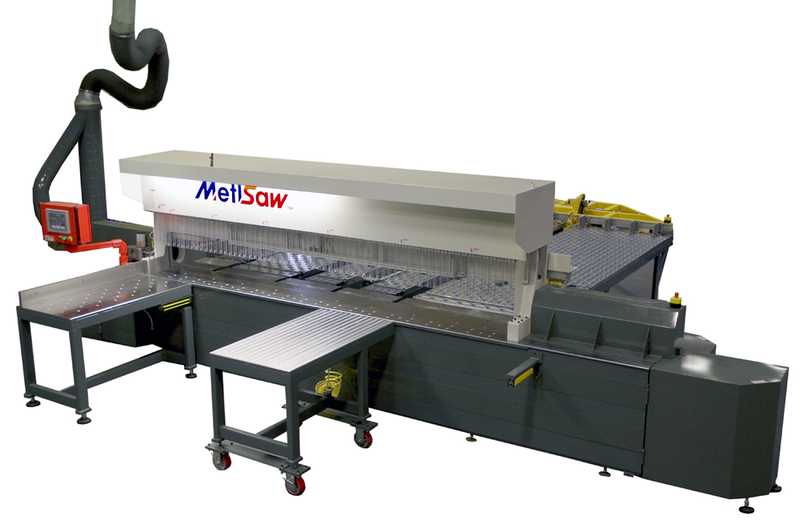 MetlSaw’s NF Series industrial saws’ advanced design delivers high-throughput precision cutting of non-ferrous materials, from 6’ to 20’ across. 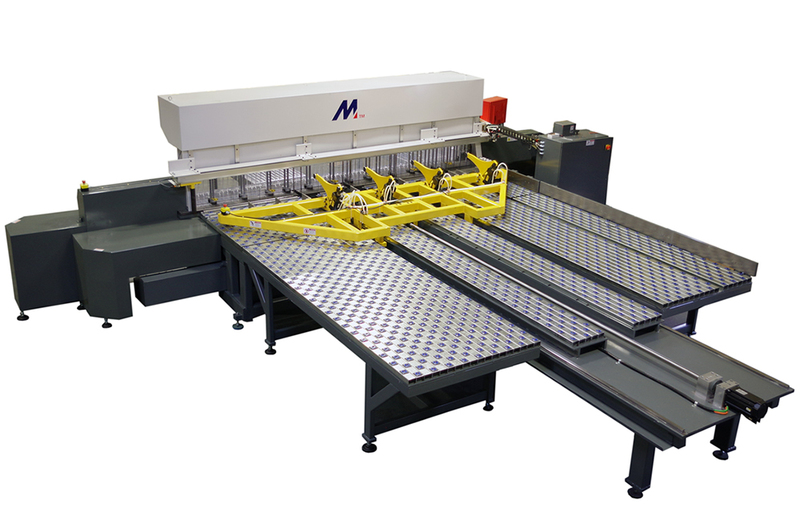 NF Series saws come with factory-automation design features that make the equipment the top choice of service centers around the world for enterprise-scale sawing operations. 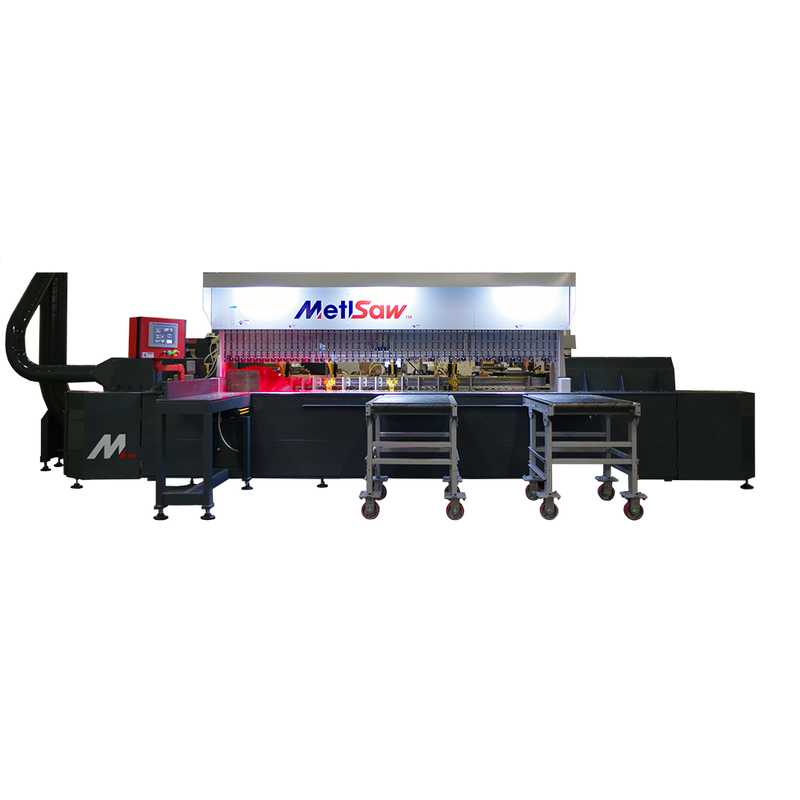 MetlSaw offers four NF Series sawing machines with large cutting windows for expert handling of thick or long plate materials. The unique backguage design features innovations that allow operators to load materials more easily and to stage jobs in advance for increased production capacity. Materials are loaded on a bed of ball transfers, and positioned with a precision ball screw for increased reliability and accuracy. Materials are precisely positioned to hold thick materials to even the tightest of tolerances, yet the system is easy for operators to learn and manage. With the Metlsaw backguage configuration, an operator can move even the thickest plate through the saw with one hand. The upgraded control system software retains memory of specifications for up to 1000 parts, for rapid job staging and high efficiency. 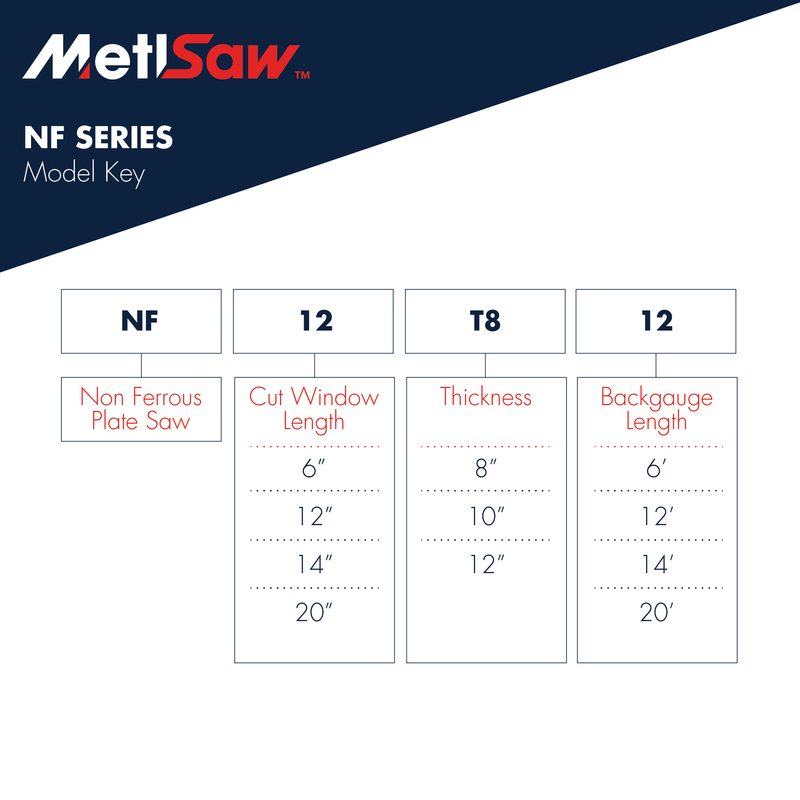 The NF Series saws can also be easily serviced and maintained. Precision tolerances to ± .003” delivers high level of cutting accuracy. Cutting speed up to 300”/min. Material increment speed up to 200”/min. Extended loading and unloading material handling.